All Carlton homes currently listed for sale in Carlton as of 04/26/2019 are shown below. You can change the search criteria at any time by pressing the 'Change Search' button below. "In the heart of Wine Country an amazing business opportunity to own a remarkable 9 room County Inn with plans for expansion of suites nestled among the beautiful 5-acre pond. Complete renovations under way. Rare zoning Recreational Commercialallows for all meals and unlimited events. The beautiful and peaceful grounds are perfect for weddings and retreats. 2nd building with add. bed&baths as well. 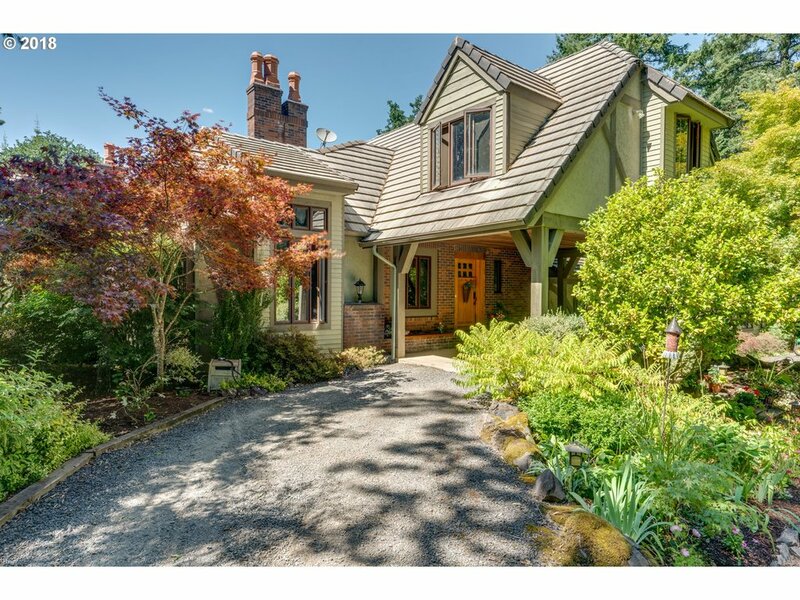 POSSIBLE CONTRACT TERMS AVAILABLE>"
"Willamette Valley landmark & Sanctuary to 1000's of guests, Lobenhaus B&B & Vineyard closes its doors but offers opportunity to savvy buyer! 27+ acre parcel w/8 acre self rooted, LIVE Certified vineyard in Yamhill-Carlton AVA w/160 wineries w/in 10 minutes. B&B, Wine Tasting Rm, Private Wine Retreat or special variance Winery; all possible! 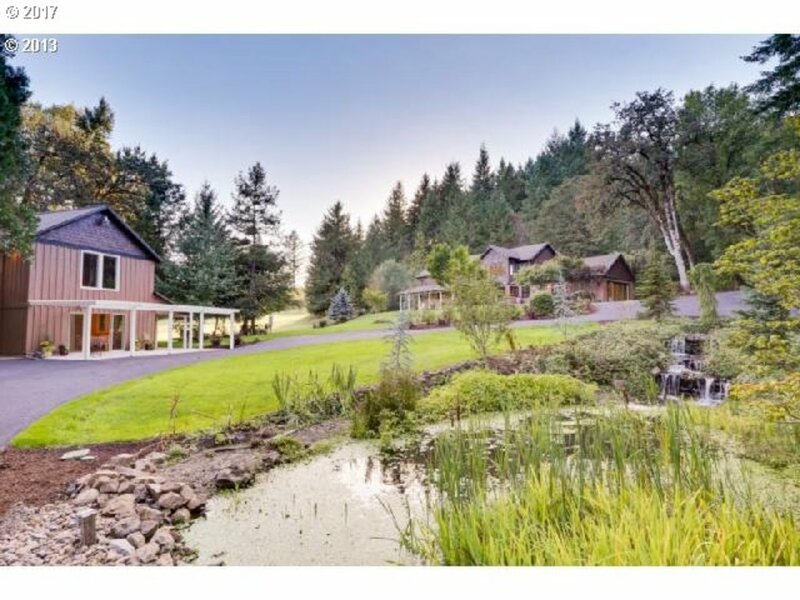 Fully furnished 6 suite Lodge, 2 bed caretaker Hm, Creek, Pond, Shop/Outbldg, Greenhouse, Forest"
"Amazing opportunity in Oregon's beautiful wine country! Set back on over 15 acres amongst the vineyards & wineries of Carlton, this stunning property is a private retreat. Custom Arts & Crafts architecture is featured throughout, seen in the gorgeous exposed wood beams, river rock, stone and brick fireplaces, and built-ins galore. You will feel like you're on vacation year-round! Guesthouse, barn, tennis court & so much more!" "This property is nothing short of incredible! Very nice 5200+/- sq ft home w/ very picturesque setting, 25ish acres pasture, 2 ponds, yearround Panther Creek (fish producing), airstrip, 6+ outbuildings including 1 commercial grade steel i-beam building w/ indoor tennis court & racquet ball courts (set up for private club), shop with RV-storage, chicken coup, irrigation rights, fruit trees,balance of property is in young reprod." "A peaceful wooded retreat tucks in among 59+ acres of groomed forest. 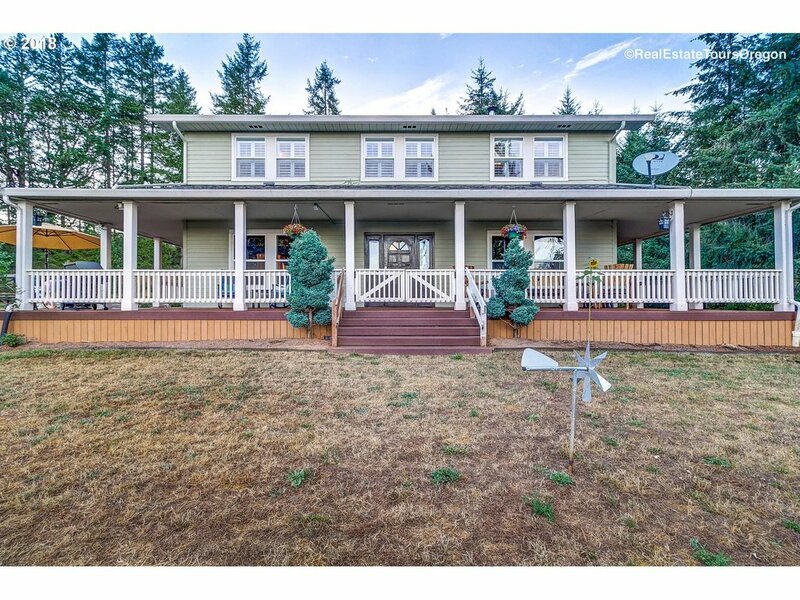 The park-like property boasts cross-fenced pastures, a spring, barn, shop, gym and over 3000 sf of Trex decking and wrap-around porch! Home has been completely custom remodeled including features such as heat lamps with warming racks, induction stove-top, Miele dishwasher, farmhouse sink, Italian kitchen faucet, 2 temperature controlled wine closets and so much more!" "Beautiful 5 acre farm in the heart of wine country. Brand new 50 yr roof. Take in the majestic views of the valley and hills while the elk and deer graze through. 2 stall barn with riding arena, cilo, and a 53x34 shop with paint booth, both buildings have 220v power. Pergo,tile,carpet flooring throughout. This is a horse lovers' dream. Vineyard Potential. New Roof. New exterior Paint." "Lovely country acre with its own creek! Just outside of Carlton on a private lane. 3Bed/3Ba with open plan to enjoy vaulted ceilings and a cozy fireplace. Garage has finished office and full bath down and a huge bonus room w/kitchenette upstairs! Use for guests, media room or possibly add bath for studio. Fruit trees, bluberries, partially fenced, play structure, she shed or playhouse." 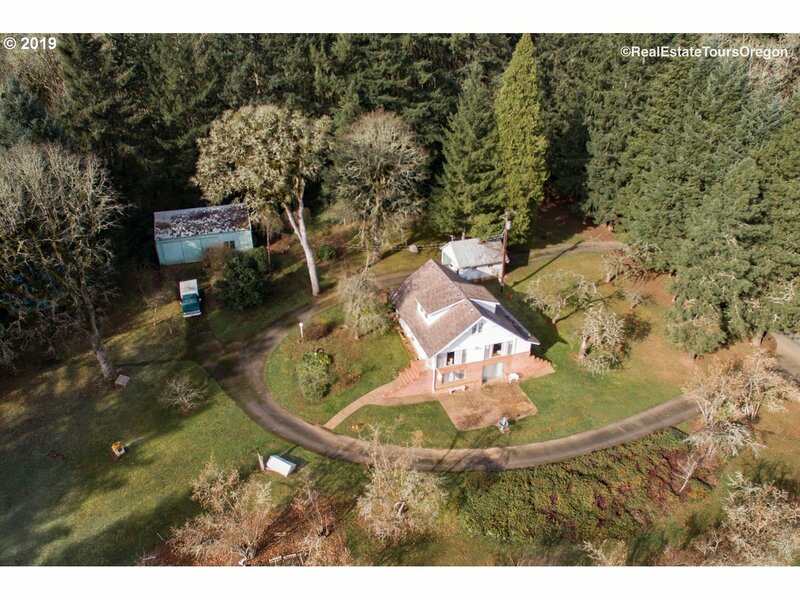 "Peaceful setting, fixer farmhouse on 5.28 acres, just 3.5 miles W of Carlton. 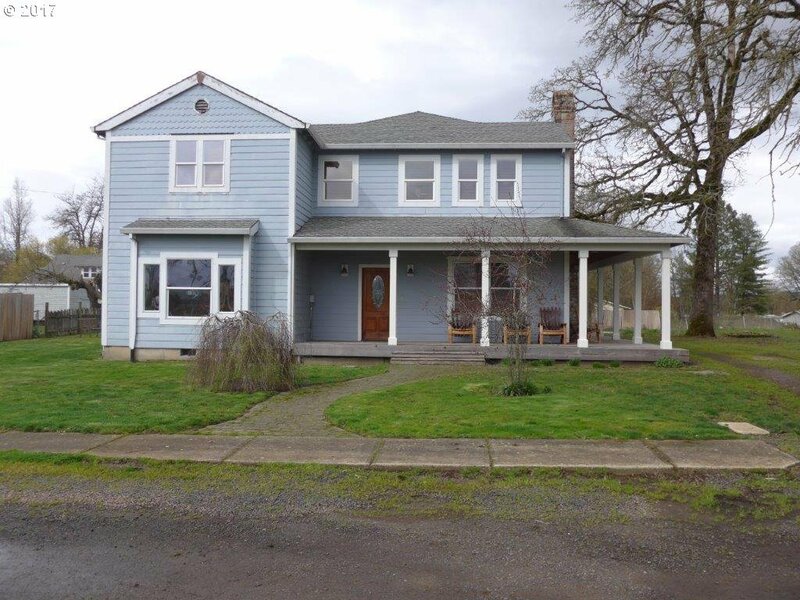 Expansive territorial views of region, direct view Mt Hood thru large windows in Master BR, Living Room and partially fin. basement w/slider to patio. Non conforming bedrooms, detach garage, 1053 SF shop w/loft, 1176 SF metal shed, storage area up. Small livestock shed. Mold hazard in green shed - do not enter. Nice site placement for small farm and forest." "OPEN 4/28 1-3 NEW GIVEAWAY PRICE! !Dreaming of living in wine country? -Entertain in style indoors or outdoors! All entertaining rooms spill out into a Tuscan style courtyard complete with a soothing fountain. Well appointed kitchen, master suite on Main, 2 bdrms/1 bath separated + a loft bedroom or office. 400sq ft shop next to garage or add ADU. 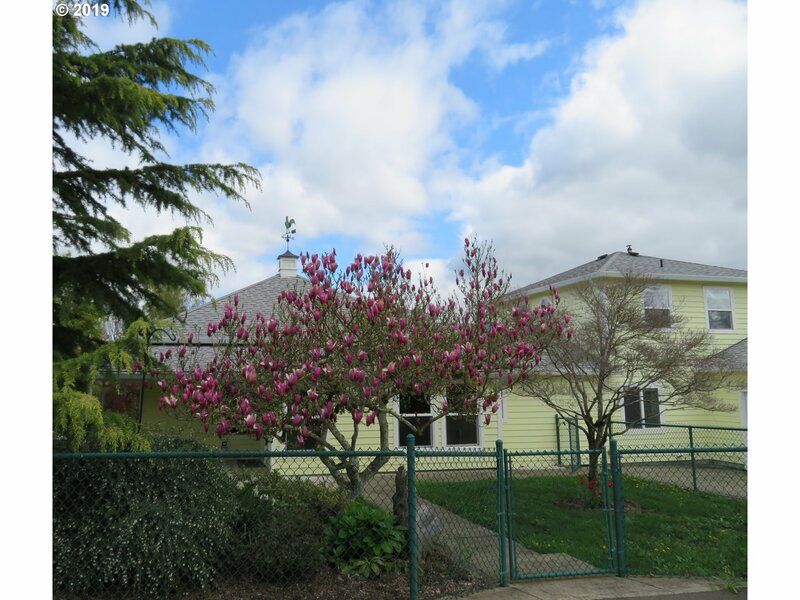 Large back yard, RV parking, large private Lawn area Close to tasting rooms & restaurants"
"Wonderful 5 bedroom home in the heart of downtown Carlton just blocks from Main Street and the tasting rooms/wineries. A large .35 acre lot with room for lots of toys/RV parking. Nice master suite with attached master bath and large bedrooms. Great wrap around front porch, big country dining room and kitchen, laundry room, sitting room upstairs and a really nice floor plan. The heart of wine country!" 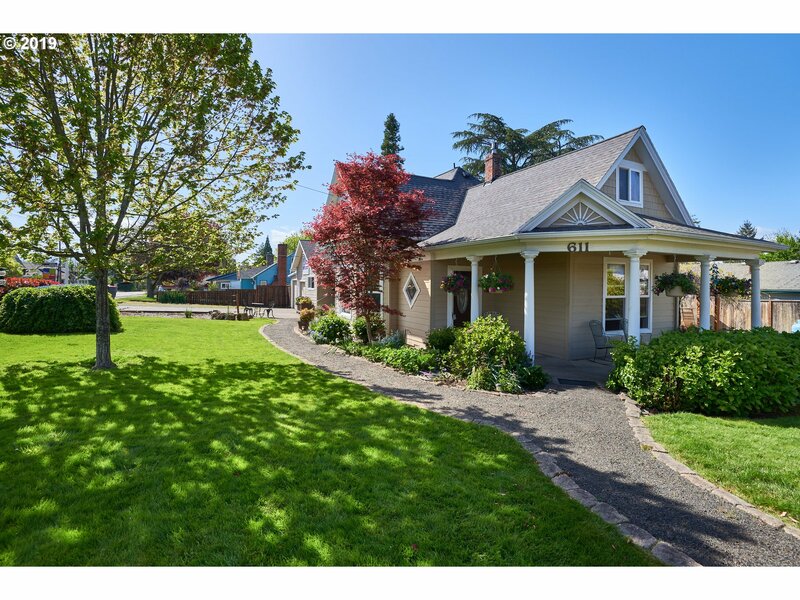 "Great classic farmhouse in the quaint little town of Carlton! Home has been very nicely updated with hardwood floors, kitchen and bathrooms. Home offers a master on the main floor and another upstairs. Over sized garage w/ extra storage behind it. Nice deck, covered patio and fenced yard. Within walking distance of downtown. The bamboo was replanted this last year into the tubs. It grows quickly and will give a nice barrier soon." "Near downtown Carlton, in the heart of wine country. This 5 bedroom home has a master on the main 2 living spaces and plenty of room for family and friends. A large deck to host those summer bbq's and is conveniently located just blocks from the city park and pool. Possible opportunity for B and B or vacation rental, buyer to do due diligence with city." 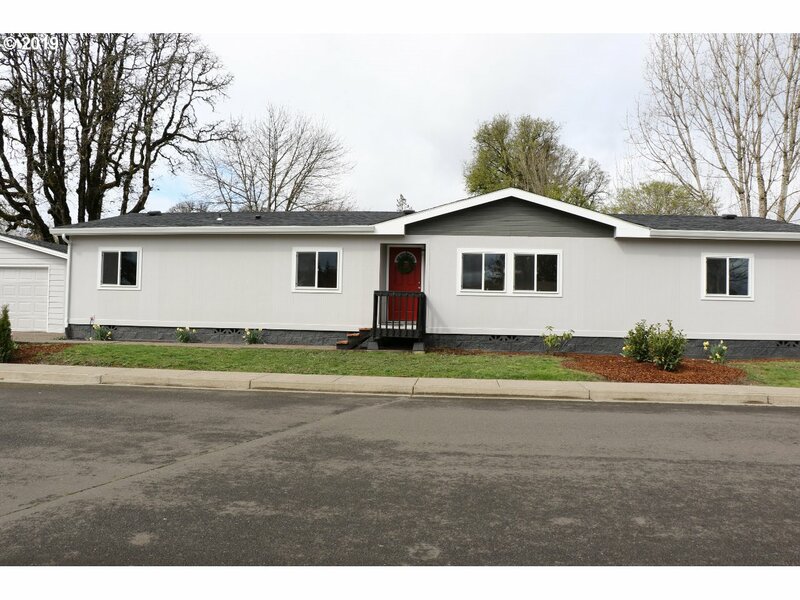 "Charming remodeled 3 bdrm, 2 full bath home on nearly 1/4 acre with fruit trees, garden area, green house and storage shed. Master on main, 2 bdrms, bath & play room up. Spacious kitchen with island. Newer heat pump with A/C, water heater and roof. Great storage in partial basement." 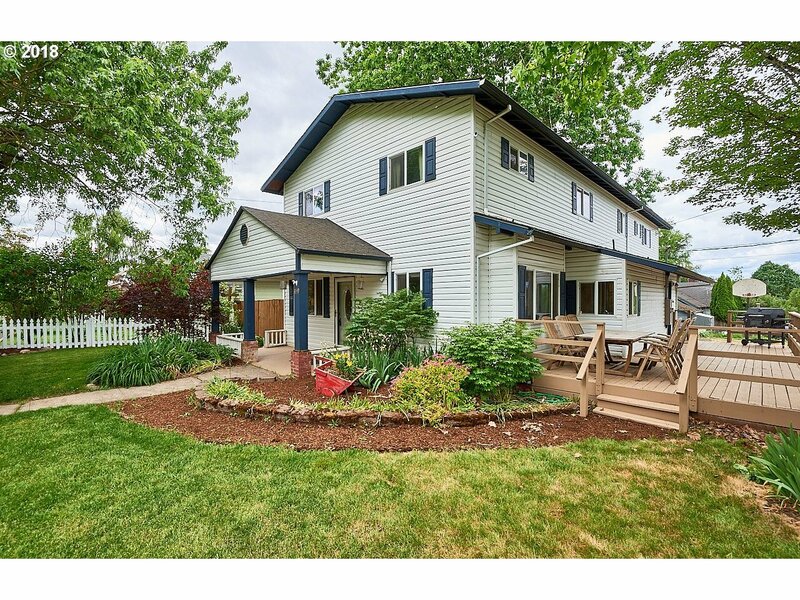 "This fairy tale like, cottage home has been completely remodeled. New hickory, custom made cabinets w/ upgrades such as pull-out shelving & can holder-shelving in pantries. The oak floors have been refinished, new windows, new electrical, a mini-split for main floor, both bathrooms have been remodeled & a full basement is ready for use. Owner related to Listing Agent." 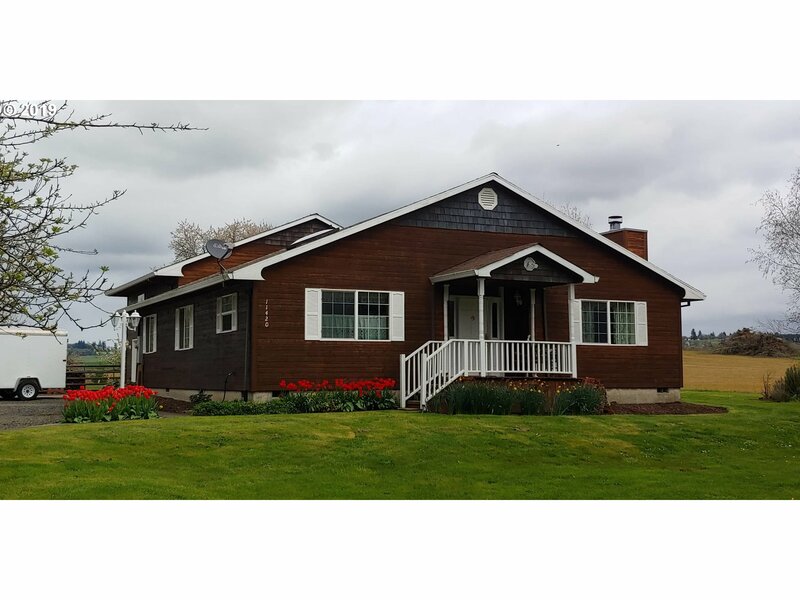 "Beautifully renovated 1 story home located in Wine Country. 4 bed/2 bath across 1782 sqft. Includes vaulted ceilings, wood floors, vinyl windows,stunning kitchen w stainless steel apps, cabinetry, white tile back splash! 400sqft, 2 car garage. Large fenced backyard provides privacy & features concrete patio. Short walk is the Carlton Swimming Pool & Park, restaurants, markets, & wineries. Lots of windows & natural light, open floorplan."